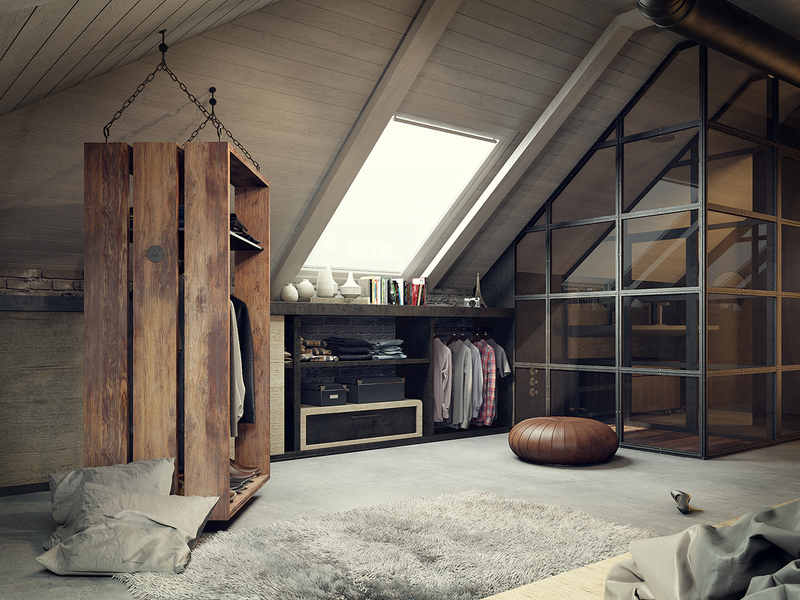 In our pursuit for the perfect work, play and living space, we've unearthed this amazing attic space. But what astounds us more is that this project is actually hyper-realistic CGI, created by KFrame Lab. The photographic realism of the work is incredible, and we'd love to visit the end-result. What looks like it could be an easily neglected space has been cleverly converted in this visualisation, producing a stylish bachelor pad that we can imagine would be perfect for socialising at the weekend. 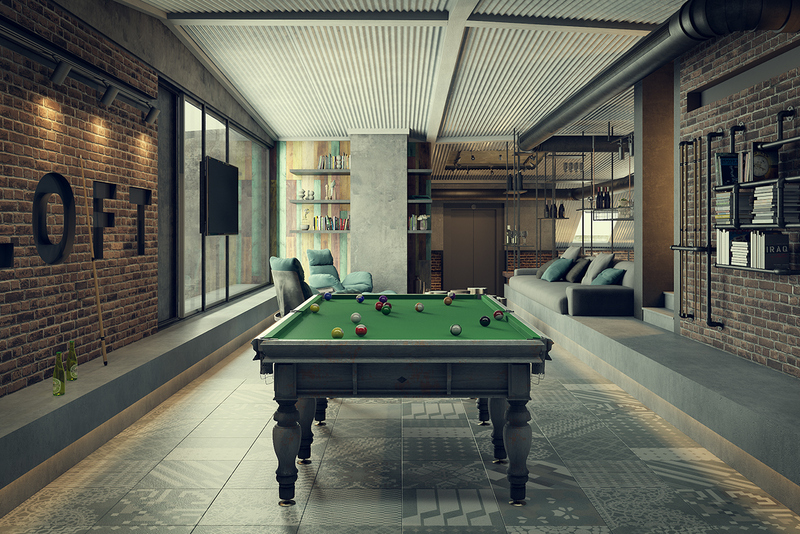 The project was created for interior architect Bachir Nader and is called 'the rec room'. 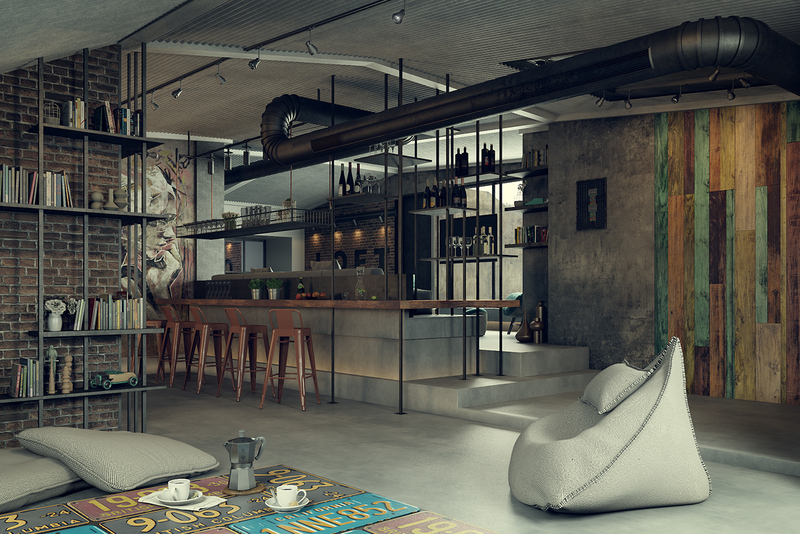 The loft has a rugged look but is at the same time fun and decadent. This is definitely a bachelor pad with it's masculine colours, textures and not to mention the choice of furniture included and not included. We can just imagine kicking off our shoes onto the soft wood floor, and slipping on our slippers as we enter. The steps up to the raised bed platform run in symmetry with the ceiling. It makes the space seem bigger and more balanced. It also gives importance to one of the most important pieces of furniture in this gentleman's home- the king size bed. The unique hanging storage space makes the clothing inside the centrepiece. 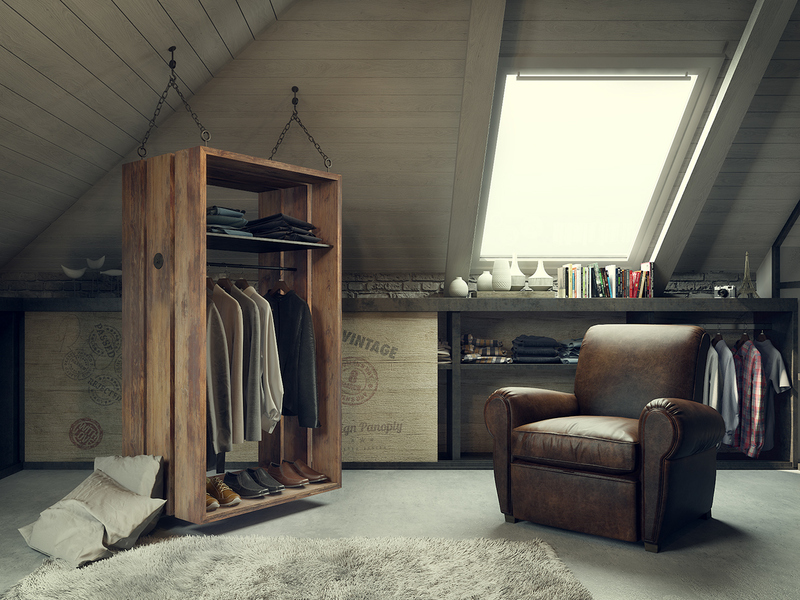 Leather shoes, loungewear and suits are framed by the rustic varnished wood 'wardrobe' that faces prominently into the room. Natural light streams in through sky roofs and illuminate the metallic edges of furniture. The mix of natural and industrial materials adds a personal touch: woods with corrugated metal, bricks with steel poles. There is just enough clutter that you feel like you can relax and pull up a cushion almost anywhere. The functional air vents running across the ceiling are a feature in their own right. The use of cushions and floor rugs rather than large sofas adds an appropriate cultural reference given that the apartment is on the edge of the Middle East (we're thinking of Bedoin style camping). We also love the modern twist on the beanbag. From this angle, the large solid pool table is a clear focal point. But we love the more hidden touches, such as the risen floor in the background that has been converted into a built-in sofa. The client, Bachir Nader, is an industrial designer and interior architect who is heavily in demand in the Middle East and especially Dubai. He seeks to transform and restructure spaces, taking on projects that others may not see the potential in. 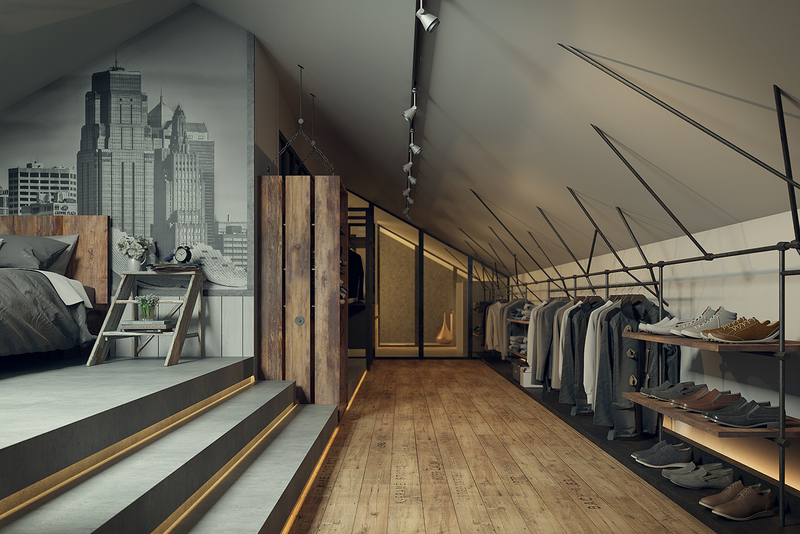 You can see more shots of the loft here, and check out other projects by K-Frame here.